Costa Rica is one of the world’s oldest democracies, Costa Rica was inhabited largely by Mesoamerican and Andean people until Spanish colonization in the 18th century. This rich blend of native culture and European influence is highly evident today. Local people are friendly and humble, the phrase ‘Pura Vida’ or ‘Pure Life’ is repeated various times through any given encounter and it really is a testament of how the locals, known colloquially as Ticos, live their lives from day to day. Their melodic intonation of how they speak Spanish is enchanting and contagious, the people have a certain oneness and understanding of the environment around them which comes out in their way of life, mannerisms, culture and food. The country is lush with exotic treasures from the Art and artisan communities that reflect the magical jungle that surrounds them to the delicious homemade sauces served with rice, beans and fried yuka. The Costa Rican immigration law has recently been rewritten completely and the final policies are not completely finished and it has not gone into effect as yet. The question of the visa to work is a tricky one, I suggest that you investigate this matter thoroughly before arriving. Not having a work permit one must leave the country every 90 days to renew the tourist visa, most people simply take a bus to Nicaragua or Panama, stay for a day or a weekend and return. I have done this trip and there was no problem whatsoever at the border. The authorities are well aware of these ‘perpetual tourists’ as the term has been coined. I have attached a video that explains the bizarre bureaucracy to help you understand its complexities. Frankly speaking, it is almost impossible to become a fully legal worker in institutes in Costa Rica. Immigration laws are tough and try to protect their small and rural country from being overrun with foreign companies and ex patriots, looking for a cheap life in paradise. If the institution has governmental funding and support there are options that the company may bring you on, although permanent jobs places are, first and foremost, rare and largely preferential for Costa Ricans. One would need to prove that the job itself would be better done by a foreigner as opposed to a local. The normal run of the mill language school will not have government funding, nevertheless they will give you a binding contract, providing you look after you own visa duties, however with that in mind here are some companies that will provide transport to the border when your tourist visa expires. This shows the sophistication and organization of bending the immigration laws in Costa Rica. This may seem strange coming from western countries however this bending of laws is quite normal throughout the Americas. When it comes to health insurance, I advise all to organize that in your own respective countries, usually a broad one year traveling package will suffice. There are many wonderful activities in Costa Rica, throughout the country one can do different things in different places, like zip lining in Montezuma or kayaking in the rivers of Porot Limon, so it is not rare that people get injured thus in respect to this issue I would not rely on companies and institutes to look after me, so get that sorted at home. Some institutes and schools, like anywhere else in the world, will take you on if you are present at the door with an ESL certificate and a smile, however since Costa Rica is a stones throw from the United States the locals tend to want to learn American English as opposed to any other form of it. Schools and institutes will therefore generally favour a north American native. I would not let this put anyone off going as I am an Irishman from Co.Donegal with a distinct but clear accent and I had no problem. A University Degree: Some institutes will not ask for any concrete evidence of your education and some may not judge you on it either, so I would not let this matter prevent anyone from going to Costa Rica. Certification: ESL teaching certificate such as CELTA or TESOL/TESL etc. Although some schools may not even ask for this, if you have a bachelor’s degree in any subject you may be able to find a job with no experience at all, other than you can actually teach. Minimum of one year experience teaching ESL. However this depends on the place, the employer and of course the employee. Regardless of your location within Costa Rica the dress code varies little, usually chinos or light cloth trousers and a clean smart shirt is enough. Although of course if you are in a business environment you are expected to be professionally dressed such as ties (in some cases suits) for men, and professionally dressed women. Some places may want to see proof of financial stability, however it is not common. A recommended start-up sum of $2,500.00 minimum was suggested by one institute, so it is important for you that you check thoroughly beforehand. Usually institutes demand a minimum commitment of six months with a preference of one year. Shorter three month contracts also exist and they are very flexible. This is a good way to begin one’s adventure in Costa Rica as the experience gained is fundamental and it gives people a chance to visit surrounding areas on the weekends. There are numerous language schools, centers, institutes, kindergartens, public and private schools all dedicated to English language learning. 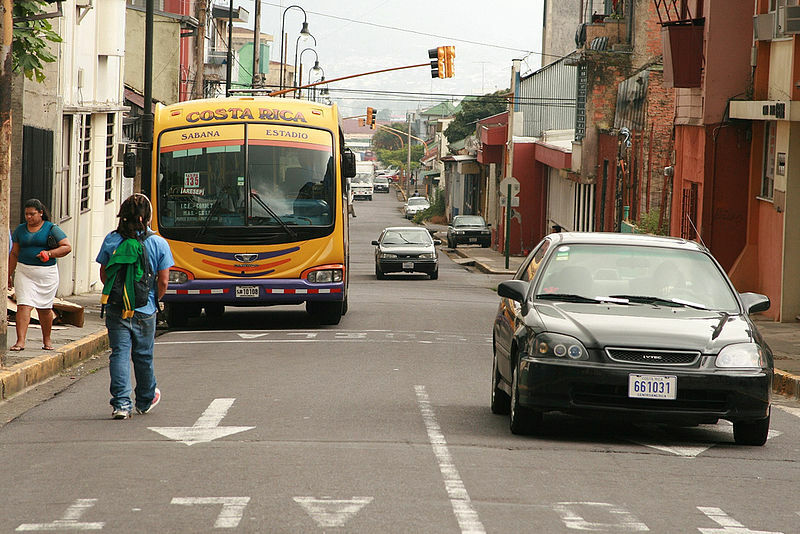 Basically, there are three routes you can go down as an English teacher in Costa Rica. You can sign a contract for a long term ‘full time’ role at one of the major schools or you can take on multiple part time contracts at several smaller centers or you can teach privately. Working privately has its advantages and disadvantages, the main places to do it are in the big cities such as the capital San Jose. This is where the market is as there are many professionals that require English for work and trade in international companies. In addition to this their children often look for extra tutoring as well as University students that live in capital. A private teacher could charge up to 20-30 dollars per hour depending on your qualifications and the circumstances of your student(s). In Costa Rica the school year runs from January to December. The majority of schools will not be hiring in the middle of the year. The best time to begin your job search is the last few months of the year, such as October, November, and December. Many schools and language centers will hire on the spot, so it is important to make a good impression. A standard full time position is considered to be around 20 teaching hours per week. However, this can be changed according to your goals and priorities. Most classes run from early morning around 7am to midday and then in the evening from 4pm to 8pm. These hours would be applied to private lessons as well, people general take time out in the midday as the climate is very hot and it’s difficult to be productive. There are a host of beautiful places in Costa Rica to live and work, from the east to the west coast, the high mountains and the rain forest. Much of the stunning sea side locations are generally poor and the standard of living is very humble however with the influx of fashionable eco-tourism over the last 20 years many small beach towns are transforming quickly. Many American business are setting up localities and with this the need for English Language teachers. Geographically speaking Costa Rica is a small area however some places are very difficult to get to, due to the mountainous terrain and poor infrastructure and all roads lead to the capital San Jose. Manuel Antonio is a national park area located on the Pacific coast near the town of Quepos about two hours from the capital San Jose. This is magical area with stunning beaches and a lively town, with several institutes and schools to find work in. Rich coastal rainforest trees arch over the ivory sands and blue opal waters of Manuel Antonio’s coast. You can hear the music through the jungle canopy as troupes of monkeys pass overhead. Sloths, lizards, tropical birds fill the side of the roads entering the port town of Quepos, where you find the schools and institutions. Quepos is a quiet port town, that once flourished as a fishing village but has lost a little of its charm over the years. It is a market town for many of the surrounding villages so there is a healthy and lively buzz on market day, where you can find an array of exotic foods. Although security is high and poverty is quiet apparent, there is a relaxed and familiar air about the town, truthfully it is a place to work and buy food then get out, as most of the nice places to live and spend your time are on the outskirts in nature. San Jose is a lively capital with houses of culture, universities, parks and people. The majority of the population live here so there is a lot of opportunity to find employment in any of the many schools, institutes and universities. It is located in the central valley of the country however getting to a beach at the weekend or exploring the northern rain forest is quite easily done. Like any major city it has all of the benefits and the drawbacks. The day light sunshine in Costa Rica is 12 hours daily, from 6am to 6pm, thus making the day very short. When the sun goes down the country seem to stop, so you may find yourself a little locked up in the capital come 7pm every night with little to do. Then again it is what you make of it and I am sure there are all sorts of cultural centers and activities if one does some investigation. The spectacular Monteverde Cloud Forest Biological Reserve is an incredible destination for any lover of forests and wildlife and it is a popular ecotourism destination. With its unique cloud canopy, this makes it a true cloud forest with eternal mist. This biological reserve is located in the northern part of the Puntarenas provience. The Monteverde Cloud Forest Biological Reserve is one of the most stunning and breathtaking nature reserves in the entire world. I would fully recommend a visit here. Costa Rica is surprisingly expensive in comparison to its neighbouring countries Panama and Nicaragua. This is mainly due to tourism and high retail prices, so be prepared for high prices. Buying your food and drink in supermarkets is the most reasonable option and the quality of fruit and vegetables is cosmic, however if you are in a really beautiful beach town the market prices will be higher. I recommend the local supermarkets and small diners, usually they will provide you with as much Rica and beans to give you the energy to climb a mountain! With the salary of an ESL teacher, one can enjoy a pleasant life in Costa Rica financially. Costa Rica doesn’t have much of a consuming culture thus one doesn’t need to spend much money, nevertheless it is a small country and so easy to travel to other places and enjoy so many incredible adventure activities, that spending money is not hard to do. To live with a Costa Rican family will generally cost from $300 – $350 per month with 2 to 3 meals and laundry included. To rent a room in a shared house with other foreigners prices range from $275-350 per month. To rent an apartment or house, they start from $400 per month and furnished apartments run higher. Costa Rica is nestled between the Atlantic and Pacific oceans in central America, it is often pictured as an oasis of political stability in the midst of a unstable region. With the presence of over 20,000 north American ex-patriots, Costa Rica at times feels like a 51st state, with big SUV’s and expensive summer homes. Ex-patriots bring money to a developing country where the poles of economic division are very much divided into the ‘haves’ and ‘have nots’, however there is a certain harmony between the two cultures, an understanding of mutual gain. Costa Rica prides itself on the fact that there hasn’t been an national Army since 1949 and one feels secure in many areas of the country, however with the capital San Jose itself there is a level of high security and mistrust. Many houses are heavily protected and armed guards are very common. Walking at night alone on the streets is a lonely experience thus taxis are often used. In the small tourist areas tensions seem to be a lot lower and people walk freely at any time of day or night, I for one felt comfortable walking around. Costa Rica is an amazing treasure filled with spectacular scenery, incredible wildlife and fantastic white beaches. It may not be as straight forward a place to look for security in employment due to visa complications, however it makes up for it all in adventure and the ‘Pura Vida’ lifestyle that entirely consumes you. I for one would highly recommend Costa Rica as a place to spend a year teaching English, I had an amazing experience there and met wonderful people from all over the world! If you have any questions for Christopher or also have experience teaching English in Costa Rica and would like to add some additional advice for prospective teachers please leave your reply in the comments section at the bottom of the page. I am Irish and I’ve been in and around south America working as a TEFL trainer and teacher since 2007. I'm mainly based in Buenos Aires, Argentina and I have many stories and tips for anyone interested in coming here or Brazil, Colombia and Costa Rica. I am 30 years old and I’ve been teaching since I was 21. I began with a year in Caceres, Spain then I taught general English in secondary schools in Ireland for two years before moving to Buenos Aires. In Buenos Aires I trained to be a TEFL trainer and spent 4 years going to different countries training teachers. I am currently in Buenos Aires working as a private teacher and children’s English camp coordinator, however I have worked with my different organizations and institutes here, from professional Business English to factory workers. I am looking into TEFL courses. There are quite a few! 50 hours to 120 hours. What do you recommend and do employers/establishments request a set amount of hours? Also I don’t speak any Spanish, is this a big issue? After reading your article I am glad you left a comment box below because I have read many blogs about this and have been left with many questions. I am in my junior year of college and currently going to school in Costa Rica on a year long study abroad! My dream is to live in teach english here and I am trying to make a lot of connections and get some ESL experience too. I am currently studying Spanish and French and obtaining my TESOL certification. My biggest question is approximatly how much leftover money after living expenses will I have? My fear is after I graduate it will be hard for me to live in Costa Rica because of my college loans. No the less I love this country and would like to be back here after graduation to live the Pura Vida. Any help would be appreciated! Gracias!! I have been teaching English/Language Arts for the eighth grade in Richmond, VA (USA) for 27 years. I plan to retire in six years… which will put me at the age of 67. What are the chances of an older person obtaining a job teaching English, and is the TEFL or CELTA necessary with this much experience? I am interested in teaching or working in the field of English Language education in Costa Rica. I am earning my Masters in Applied Lingustics from Columbia University in NYC. I am American and I have 8 years of teaching experience in the USA and overseas (Korea, Czech Republic, Spain). What do you recommend for me to get started on this job search? Which websites are the most helpful and where do you think I would be able to land a job? I agree with what you have said about teaching in Costa Rica, but having spent 3 months there as a volunteer teacher, I wouldn’t want to get anyone’s hopes up of getting paid employment there. I found it very much a ‘closed shop’ in favour of Costa Rican teachers and if they did want a native English speaking teacher, preference was expressed for a North American native. However, their enthusiasm for learning English was exceptional and I found the Tico’s extremely hospitable and very proud people. Their Country is indeed a magical place and I explored most of it during my stay (mainly due to getting on the wrong bus, as they do tend to name places with the same name, e.g. Puerto Viejo)! Although I am an experienced and qualified TEFL teacher the universities wouldn’t allow me to give English speaking classes (voluntarily) because I didn’t have an English degree. I worked with a few native Costa Rican teachers (at school level) and frankly was horrified at their standard of English.